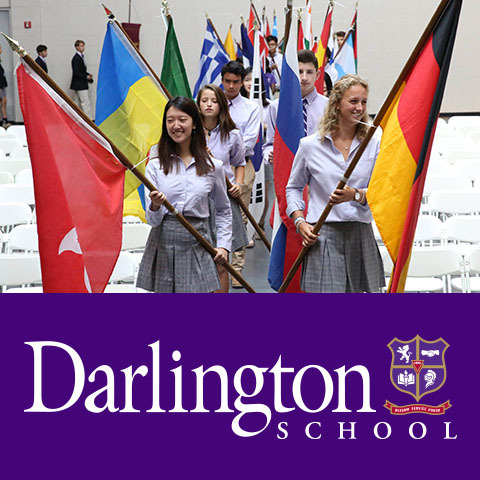 The only tennis academy in Georgia with a boarding component, Darlington School Tennis Academy develops the highest potential in every player by integrating a strong academic curriculum, state-of-the-art athletic facilities, and professional instruction.. Become the tennis player you want to be. The Darlington School Tennis Academy is facilitated by the Rome Tennis Center at Berry College, the nation's largest hardcourt facility. Rome Tennis Center’s staff of USPTA-certified coaches and performance training specialists have designed a program that develops each player to his or her maximum potential by focusing on performance, strategy, tactics, tennis psychology, footwork, conditioning, match game plans and more. I love getting to know our student-athletes and providing them with an experience that enhances their time at Darlington through the great sport of tennis. Tennis is truly a lifelong sport, giving students the opportunity to grow through competition, learn from challenges, and pursue their goals and dreams far beyond their time here. The largest hard court facility in the nation is our hub. Darlington's Tennis Academy trains at the Rome Tennis Center at Berry College, a 60-court facility comprised of USTA standard, asphalt tennis courts and six NCAA regulation courts, three center courts for tournament and collegiate play, and one exhibition court. Who can participate in Darlington School Tennis Academy? The Tennis Academy enrolls highly motivated male and female student-athletes who share a common goal – to obtain a premier college-preparatory education and world-class tennis training within a single, competitive program. Both boarding and day students may participate in the program. How often does the Tennis Academy train? Student-athletes train Monday, Tuesday, Thursday and Friday from approximately 4:15 to 6:15 p.m. Wednesday training sessions will begin at 4 p.m. with in-class video analysis. Optional weekend training and match play may be scheduled with transportation provided. All training takes place off campus. Participants are trained by the professional tennis staff at the Rome Tennis Center and have access to both the new, state-of-the-art Rome Tennis Center at Berry College – the largest single surface facility in the nation – as well as the City of Rome’s downtown facility. As any Darlington student does, players have complete access to the Huffman Memorial Athletic Center, a 96,000-square-foot facility with a natatorium, indoor track, weight room, swimming pool, and four multi-purpose courts. What is the Tennis Academy’s training philosophy? Our goal is to provide the highest quality tennis instruction and learning atmosphere, while creating a productive environment. Character development, skill improvement and a competitive, attitude-driven training ambience are qualities that our USPTA-certified staff professionals adhere to. What is a typical training session like? Weekly training sessions include warm up and cool down stretching, live ball and dead ball drills, competitive pressure drills, chalk talks, match charting, video stroke analysis, mental toughness sessions, match play with highlighted rule changes, and a private lesson in addition to group training. What type of medical support do players receive? Darlington School has a contract with Floyd Medical Center to provide medical services. Floyd provides full-time athletic trainers, physical therapists, orthopedists and weekly doctor’s visits for our students and players. What type of college guidance is available? All Darlington students are supported by the school’s full-time college guidance staff and their resources. The staff of the Rome Tennis Center at Berry College also contact college coaches directly; track grades and extracurricular activities; and review videos and player profiles so that these items can be shared with the schools in which the player is interested. How does the Tennis Academy help players achieve success? The training programs designed by the Rome Tennis Center at Berry College paired with Darlington’s rigorous college-preparatory offerings push each member to reach his or her potential – whether that is to play recreationally or to strive for the college game or beyond. Participants train nine months per year with highly qualified coaches and have numerous opportunities to compete both locally and regionally. Where do boarding students who enroll in the Tennis Academy live? All boarding students in one of the school’s six student houses - three for boys and three for girls. The house system is the backbone of the family-like atmosphere at Darlington, developing strong student-faculty relationships. Click here for more information.